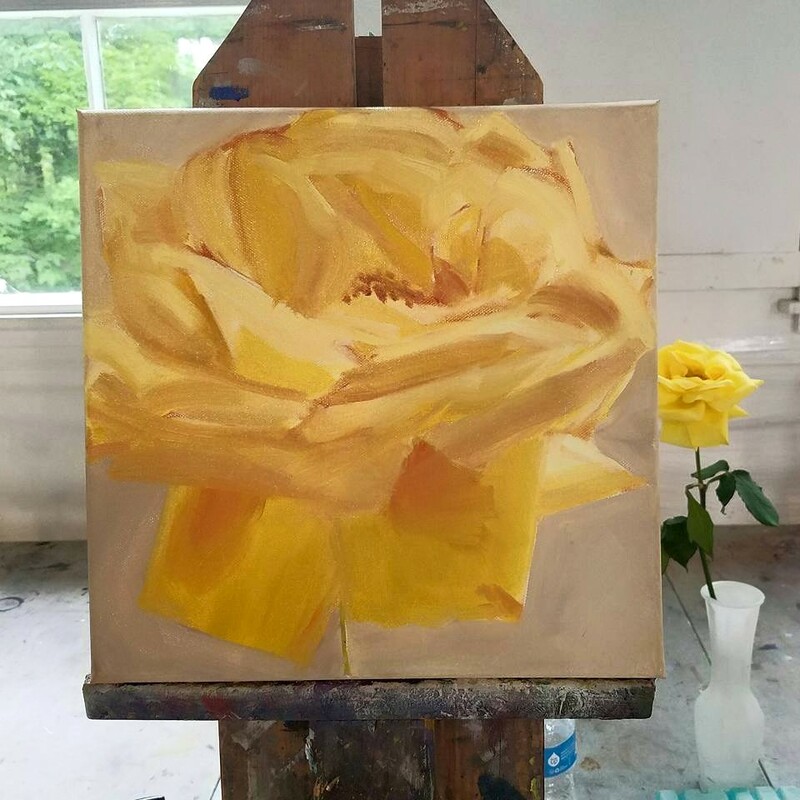 Yellow roses represent feelings of joy and delight! 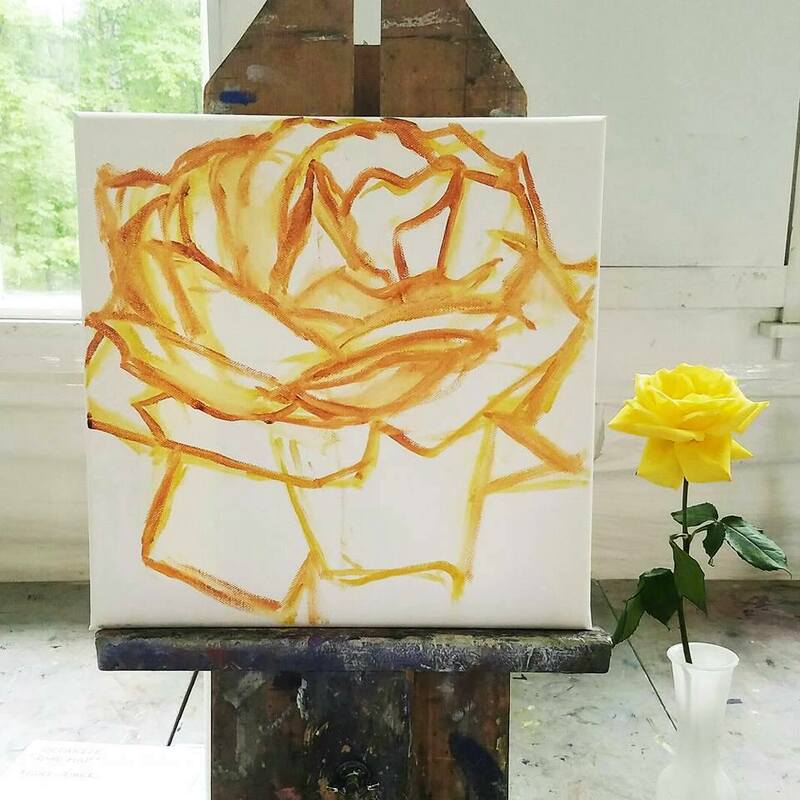 Giving a yellow rose painting can tell someone of the happiness they bring you and the friendship you share. "Rachel" was juried into the prestigious 2017 Art of the Flower Exhibition at the Philadelphia Sketch Club, America's oldest club for artists (est. in 1860). Painting from life, work in progress photos below.